New York - Is 150 Years Appropriate, or Just Silly? New York - Sholam Weiss, a son of Brooklyn, was a crook. By all accounts, he was also a rather unpleasant man, hardly the sort to inspire compassion. A federal judge in Florida certainly had no sympathy for him after he was found guilty of a fraud that drained hundreds of millions of dollars from an insurance company and caused its collapse. In February 2000, the judge piled up dozens of criminal counts against Mr. Weiss, one on top of another. Thus did she create what is thought to be the longest federal prison sentence ever imposed: 845 years. Mr. Weiss’s projected release date is Nov. 23, 2754. This is only a guess, but he is not likely to make it. So did the judge, Patricia C. Fawsett, show admirable toughness with a notorious offender? Or was an 845-year sentence simply silly, inviting disrespect for the legal system? For that matter, what about a sentence of 150 years? It, too, can never be fully served. The reference, of course, is to the century and a half in prison to which Bernard L. Madoff was condemned this week by a federal judge in Manhattan, Denny Chin. Obviously, his is not a universally shared opinion. A more popular view is probably that 150 years in prison is too good for the likes of Mr. Madoff. That is reflected in victims’ comments and in the “boil him in oil” tone of much of the news coverage. But at some point the Madoff case may be examined with more dispassion. Any analysis would have to include the reasonableness of the sentence ordered by Judge Chin, a widely admired jurist. Acknowledging the symbolic nature of those 150 years, the judge cited a need for deterrence, retribution and justice for the victims. Deterrence, however, is often an elusive goal. It is mentioned by some as a reason, for example, to preserve capital punishment. Yet the Death Penalty Information Center in Washington, analyzing federal crime statistics, has found that the 10 states with the highest murder rates all have capital punishment on their books. Among the 10 states with the lowest murder rates, 6 get by without the death penalty. With financial crime, are we to take as a given that a grifter will be deterred by sentences that, besides being unrealistic, seem to wander all over the lot? Mr. Weiss got 845 years for ripping off a few hundred million dollars. Mr. Madoff got a mere 150 years for a swindle put at $65 billion. What gives? The dollar value is “a dangerous factor to focus on in many cases,” said Dan Markel, a law professor at Florida State University. “It introduces a variable that is highly contingent on luck and fortuity to drive sentences,” he said, and it may steer the courts away from “considered assessments” of blame and punishment. RETRIBUTION? Mr. Madoff is 71. The odds are against his making it to 100. A 30-year sentence would have provided the same degree of retribution as one of 150 years. Stephen Gillers, who teaches legal ethics at New York University, also puts Mr. Madoff in a criminal class of his own, one that justifies a maximum sentence. With those 150 years, Mr. Madoff is not merely being punished, Professor Gillers said. He is being banished, even in death. The sentence of 150 years is merely symbolic. It's really a life sentence. By all accounts Madoff will never be a free man again. I think the point is that his debt to society will not be fulfilled upon his death.wether you agree or not,the judge ruled that a full 150 years is what he deserves.If he dies before that,so be it ,but his debt is not repaid. True.....I wonder why Weiss got 845 years where Madoff got only 150? Mr weiss couldn't get life in prison,so they gave him accordingly in a nicer term,I like the way they say "he's not likely to make it"
It may interesting to note that there is little precedent in Torah law for incarceration. We find the mekoshesh eitzim was put into "mishmar", which we might translate as protective custody, but this was to await the Heavenly determination of what was to be the consequence. Once Hashem instructed Moshe Rabbenu that the sentence was skilah, there was a clear direction. I do not recall other reference to jailing. I assume there must have been something to do for perpetrators of serious offenses until the beis din or Sanhedrin could complete the case and issue a psak. Should we consider prison a sentence if we use Torah law as the yardstick? Just wondering. This is a matter for discussion. let's look @ the Torah: what would madoff get? he would be sold as a slave and be forced to work to repay his victims as much as possible, that would be justice, not locking him for 150 years. There is a big difference. On the day of Weiss' trial, everybody, including his lawyer, was in court waiting for him to show up. He didn't. He had escaped to Brazil using his cousin's passport. The judge wasn't too pleased. He was sentenced to 845 years in absentia. He probably would have gotten a maximum sentence of 20 years, and would even have had that reduced for good behavior, had he shown up for his trial. Beacuse weiss,was a fugitive,and was picked up on the run,he fled during sentencing. That alone can give life in prison. And he had more crimes then just $. "he was also a rather unpleasant man"
Shulem Weiss is actually a nice guy a very good father allways helped another Yid,even to this day he is allways concerned for his children grandchildren and thier limud Torah.and you can see that his children are all honest good hard working yasherus people and talmidei chachomim. He was a huge bal chessed even when he was on the run I know personally he stopped his limo one day and handed a poor person a bag full of cash, he made big mistakes ,it is not like he killed somebody Madoff stole $65 billion Shulem Weiss only stole $400 million 845 years is a joke sentence I hope they have rachmunus on him and not let him die in jail. Question to professor Berman: If Bernie is the Hitler of white collar crime, how would you term President Obama's grand stimulus plan of robbing American Taxpayers of Trillions of dollars? Would the "Joseph Stalin of Government theft" be appropriate enough? How about Barney Frank and the other Congressmen and Senator's who refused to regulate Fannie and Freddie until it was to late, thereby causing the big bubble bust which in turn broke the financial knees of billions of people worldwide? Would a "blood lust" be justified in their case? After all, the biggest Ponzi scheme of all time is our social security system. Bernie's game is a mere child's play. Weiss was found guilty on 80 counts, including jumping bail. He got maximum penalty, ten years for each count, which is how you get to 800 years. I guess Madoff had lesser aveiros than him in quantity, quality doesn't matter apparently. you would not know whether his thievery did not cause someone to die- the money he stoled from people= causing heart attacks!! Is that not killing?? "Deterrence" is the reason the three bocherim who were caught with drugs are facing long sentences in Japan. Robbing someone can leave the victim with a prolonged painful death. Stealing from someone can be compared to taking their life and perhaps even of their dependents. This not a simple as you write. Very often a serial murderer will be sentenced to 6 life sentences plus 120 years. What is the meaning of that? The fact of the matter is, when someone is sentenced for multiple crimes, there is the possibility that one pr more counts may be overturned at a later date. If prosecutors would try a serial murderer on one count and get a conviction with a life sentence, the serial murder would go free if that count was overturned 15 years later. The prosecution, seeking to keep a serial murder in jail, would then have to retry the man on a seconnd account seeking out witnesses, detectives, and evidence from 15 years ago or more. 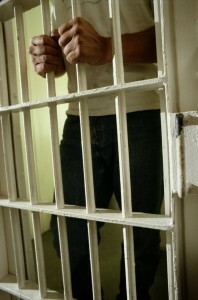 The current practice is try the offender on all counts so even if one or more are overturned, he stays in jail. With that understanding, it is not strange, particularly in financial crimes, that the sentencing adds up to more than the offender's projected lifespan. Mr. Gillers is correct as I see it, Madoff is being banished in death, all to often the Federal Courts do not punish this type of criminal, I recall a case in which the court let a man walk after he stole $200,000, if he had been a Bank Robber and obtaine that amount of money he would never seen the street again, the Federl Courts need to take another look at sentencing in these types of cases and get the United State Attorney out of determining the Punishment, that is a Judges job! Thank goodness no one wrote in defense of Shulem Weiss with the exception the #18. No comment on #18 as his comment speaks for itself. “ "he was also a rather unpleasant man"
If you believe that it is right for Madoff die in prison and Weiss should not, you are being a hypocrite. Mr. Weiss may have been nice to the guy on the street when he handed him cash, but what about the people from whom he stole their hard earned money? His kids might be nice and great but what about the kids of his victims? Chaveirim, please don't try to justify a crime against many people just be cause he is "fun unzere"...! Shulem Weiss was only indicted for $7 million - $27 million. For more info you can check wikepedia. He was not sentenced according to his crime. Shame on us for not being "Dan Lekof Zechus" a jew. “ If you believe that it is right for Madoff die in prison and Weiss should not, you are being a hypocrite. Your statement is incorrect. See the mishnayos in Sanhendrin- Bes Din used jail in certain cases where one of the prescribed Torah punishments was unavailable. the whole legal system is corrupt, the us government is the biggest thief out there together with all politicians, they all deserve capital punishment. There is logic behind harsh sentences for certain white collar crimes. A modern society cannot function without public confidence in its currency and financial institutions. Crimes that threaten the integrity of the entire system threaten to end civilization, such as it is, and therefore every effort must be made to prevent them. If the banking system collapses no one is safe. When there is no confidence in banks mattresses become savings accounts. Loans become non-existent and business grinds to a halt. Unemployment skyrockets and home values plummet. The possibility of ending up sharing close quarters with career blue collar criminals is pretty effective deterance against these crimes especially since those in position to commit them are usually the least suitable candidates for a game of survival in a maximum security facility. Are you nuts? "only stole $400 million"
However Madoff stole from private individuals, their hard earned money. its a bigger crime. it shows who you are, while Weiss would worry about the individual (even while being a crook..) Madoff didnt mind if the individual died to death. sorry, but this is NOT being a hypocrite..
“ "Deterrence" is the reason the three bocherim who were caught with drugs are facing long sentences in Japan. The 3 boys in Japan are innocent, they were tricked into something beyond their knowledge. Maddoff and Weiss knew wat they were doing and did it 1st hand. There is actually a Prison Sentence in biblical times. The Talmud does quote a punishment for certain aggrevated cases (I think for murder with technical loopholes avoiding one of the 4 capital punishment) where the perpetrator is locked up in prison & given barley to erat till his stomach erxplodes; or perhaps such left alone to starve to death. I don't trecall which Mesichta probably Sanhedrin. All is true.. There are 2 ways in looking at these crimes and how they should get sentenced .... But we need to look at the bigger picture.. Whet is fair when it comes to sentencing.... There are lots of cases were people have there first offense and are let go on probation and there are some that get long sentences like 150-850 year.... Madoff could of been in his ponze scam for 15 year and was not able to stop it, hoping something good was going to happen. I read some articles of people were begging madoff to let them into his fund, going so far that they signed up at the same golf club that madoff went to so they could become friends with him. Weiss's intention was stealing money that was not coming to him. Maidoff was running sort of a large multi level market. According to his plan, which got too big too fast for him, when he took money from somebody, he actually had in mind to pay back. I would even venture to say that if not for the deterrent factor, he should be treated like someone who borrowed money irresponsably. Don't all yell at once! Beis Din did NOT use jail as a punishment - rather it was used as a way do indirectly kill him, (by feeding him barley, then water...) generally this should only take a few days. Enuof with the attacks on Shulem Weiss its moitzy shem rah. chek the facts he never got to have a fair trial!!!! “ Enuof with the attacks on Shulem Weiss its moitzy shem rah. Hahaha, how should he have a fair trial,If he escaped and didn't show up? shalom weiss is a victim to the usa. You could do a crime and still be a victim. The goverment does what ever they want... If they want to put you away they will do as they please.